Feiwel & Friends, 9780312613419, 292pp. Fourteen-year-old Stark McClellan (nicknamed Stick because he's tall and thin) is bullied for being "deformed" he was born with only one ear. His older brother Bosten is always there to defend Stick. But the boys can't defend one another from their abusive parents. When Stick realizes Bosten is gay, he knows that to survive his father's anger, Bosten must leave home. 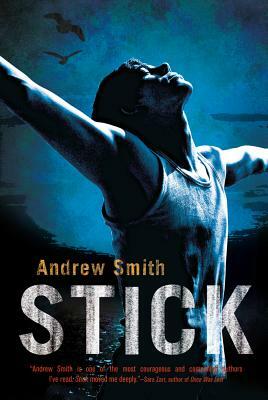 Stick has to find his brother, or he will never feel whole again. In his search, he will encounter good people, bad people, and people who are simply indifferent to kids from the wrong side of the tracks. But he never loses hope of finding love and his brother. Andrew Smith is the author of Ghost Medicine and The Marbury Lens, both of which were named American Library Association Best Books for Young Adults. He is also the author of In the Path of Falling Objects. In addition to writing, he teaches high school advanced placement classes and coaches rugby. He lives in Southern California with his family, in a rural location in the mountains.